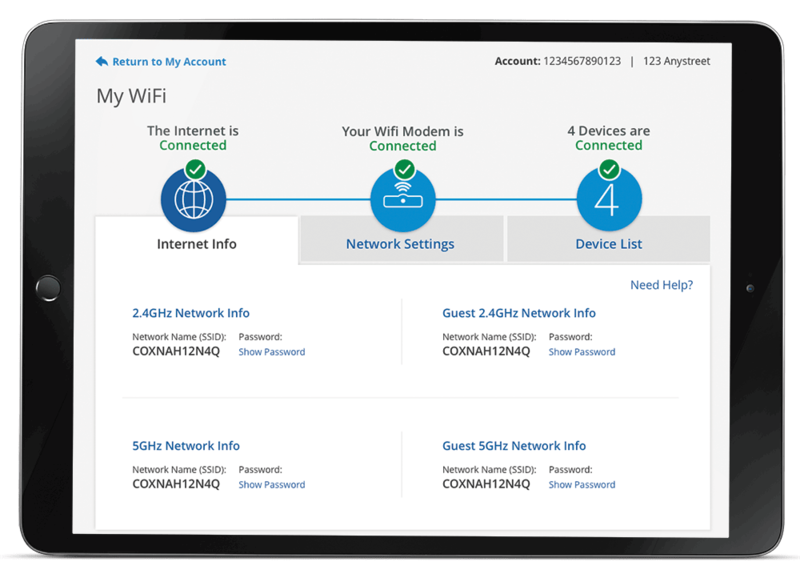 Monitor, manage and control your in-home WiFi network from anywhere with My WiFi, a tool available to Panoramic WiFi customers and other Cox Internet customers who rent an eligible gateway modem from Cox. Check out the quick tutorial below to see all of the features and tools that are included. Easily view all of the information regarding your Internet status, network name and password, and guest networks in one place. 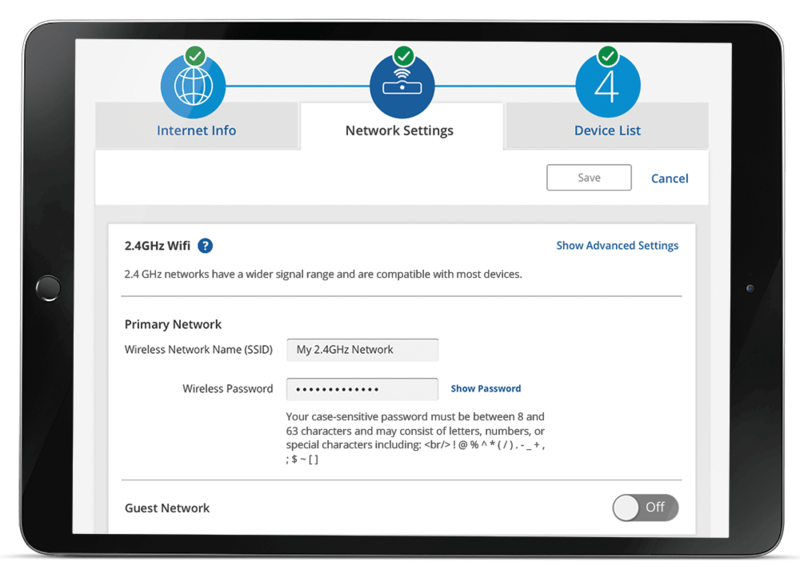 Update your wireless network name and password, manage your network security and enable a guest network all in one convenient location. Plus, view your modem & router details like IP address, model number, and serial number. Keep track of all of the devices connected to your WiFi network and see their individual signal strengths. For any weak signals, My WiFi will provide a step-by-step guide to help you fix the issue. You're ready to explore all of the tools and functionality that your My WiFi page has to offer. Access My WiFi through My Account on Cox.com or the Cox Connect app. Not sure what the difference is between 2.4GHz WiFi and 5GHz WiFi? Think of it like how radio stations work—2.4GHz is a different channel (frequency) than 5GHz. 2.4GHz networks have a wider signal range and are compatible with most devices, but they are sometimes more crowded. On the other hand, 5GHz networks are less crowded and offer faster speeds, but they have a smaller range and may not be compatible with your older devices. We recommend using the 5GHz network whenever possible, but you may need to use the 2.4GHz network if you are farther away from your router or if your device isn't compatible with 5Ghz. 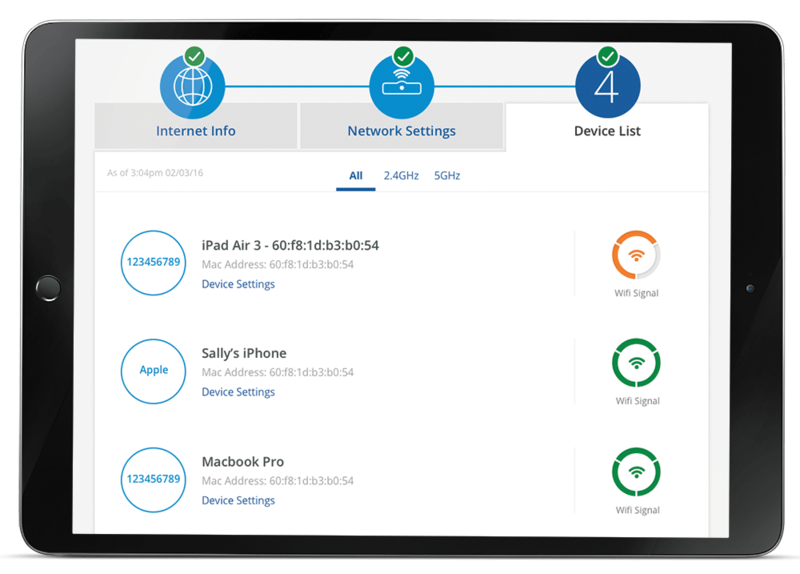 Easily manage your WiFi network settings and see the signal strength for each device. Visit Cox Support for additional information and help with using My WiFi.